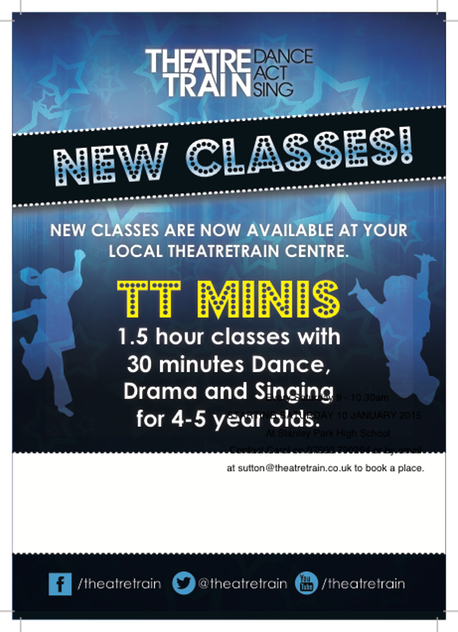 Theatretrain Sutton is also offering a free trial to its main classes for 6-18 year olds on Saturday 10 January. The free trial will be 3 hours of dancing, singing and acting from 10-1 at Stanley Park High School. Places are for TT Minis and the free trial are limited so contact the school on 07500 790254 or email sutton@theatretrain.co.uk to book your child’s place. Local Mums are entitled to 10% off the first term’s fees, just mention Local Mums Online!